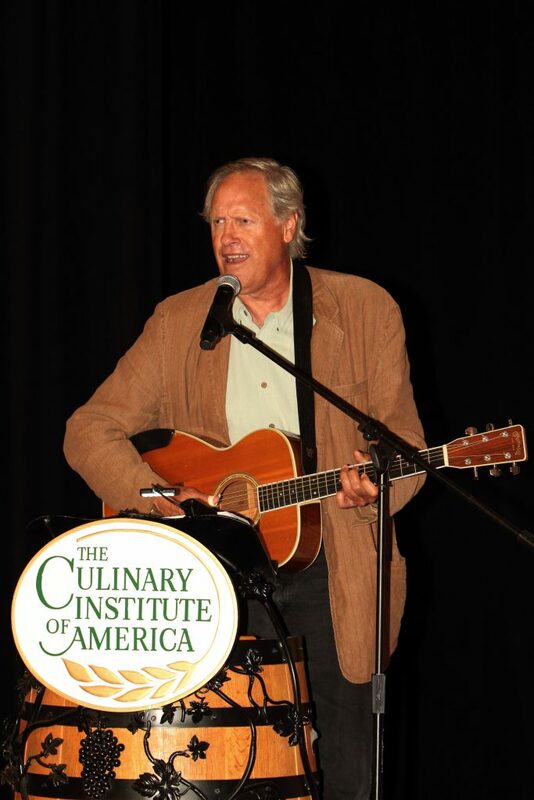 Clearwater’s great friend Tom Chapin was our Master of Ceremonies in 2017, and we’re excited to announce he’ll be back for an encore performance this year. In a career that spans five decades, 25 albums and three GRAMMY® awards, Tom has covered an incredible amount of creative ground. In addition to his work as a recording artist and concert performer, Chapin has acted on Broadway and worked extensively in films, television and radio. As a music-maker, the multi-talented singer/songwriter/guitarist has maintained two long and productive parallel careers—as a highly respected contemporary folk artist and as a pioneer in the field of children’s music. In both, Tom has established a reputation for insightful, heartfelt songcraft and effortlessly charismatic live performances. He continues to engage the hearts, minds and imaginations of young listeners with witty, life-affirming original songs delivered in a sophisticated array of musical styles. In either format, Chapin’s infectious songs, sterling musicianship and personal warmth consistently shine through. Distraught over the loss of his best friend in the 9/11 attack on the World Trade Center, John Ubaldo, a successful Wall Street investment banker, decided to call it quits. 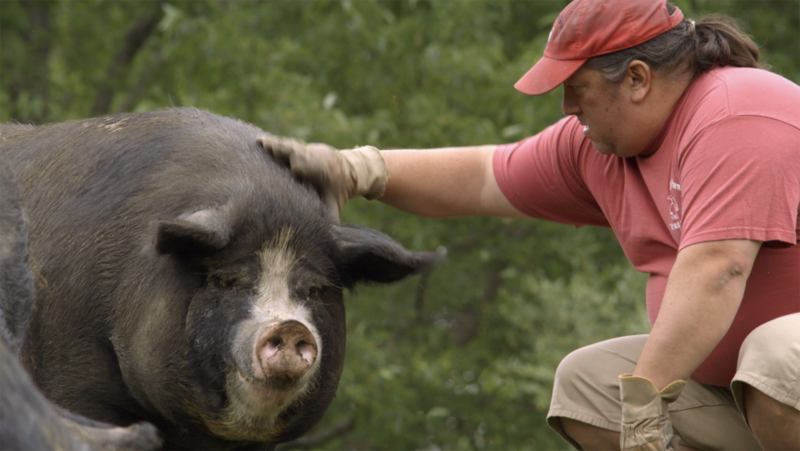 He traded his high finance career for 185 acres of land on the Battenkill River in Cambridge, NY, to live the quiet life of a small farmer. John wanted to farm the way it was done 100 years ago, raising a variety of livestock and crops. His only goal was to raise delicious and nutritious food for himself and his extended network of family and friends. But John’s dream of living a traditional agrarian life got complicated when he came up against Big Agriculture, and discovered his approach to farming was hopelessly out of sync with today’s prevailing agricultural methods. John (aka John Boy), the very private farmer, became a passionate and outspoken activist on behalf of small farms and rural America, lobbying for GMO labeling, animal rights, the preservation of crop diversity and the reduction of chemical fertilizers. 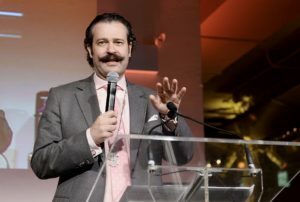 Nicho Lowry is president of Swann Auction Galleries in New York City. Born into a family of antiquarian book dealers and regular appraiser on the PBS television series Antiques Roadshow, Lowry is actively involved with many worthy causes, presiding over as many as 20 charity auctions a year. 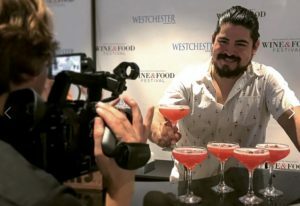 Bar manager at RiverMarket Bar and Kitchen in Tarrytown, Emilio Ugarte is the 2018 winner of the cooly-contested Bartender Shake-Off in Westchester Magazine’s Wine & Food Festival. Emilio was previously head bartender at another Westchester dining institution, Crabtree’s Kittle House in Chappaqua. 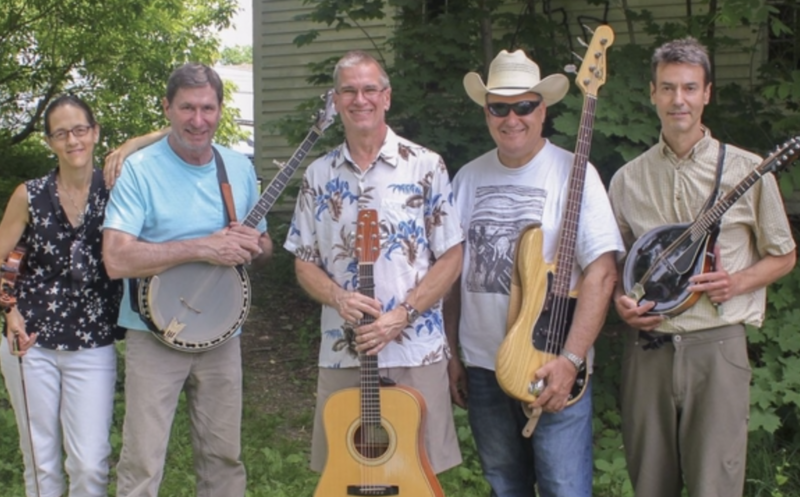 New Breaks is a band comprised of some of the Hudson Valley’s most experienced acoustic musicians. They perform a varied mix of classic and contemporary bluegrass with the emphasis on tight vocal harmonies. All are veterans of many local bands and have been honing their skills for many years. Frank, Gary, Roy and Nina were all previous members of the Mama Tried Bluegrass Band. Frank Kara (Guitar, Mandolin and Vocals) grew up playing electric guitar and got bitten by the bluegrass bug after attending his first Winterhawk Bluegrass Festival in 1989. From 2003 to 2005 he was a member of Barebones and Wildflowers and is featured on their self produced CD “Days Will Go By,” Gary DiGiovanni (Banjo and Vocals) is originally from New Jersey and after moving to the area was lucky enough to study the banjo with Bill Keith. He is also a fine guitar player. Carl Radens (Mandolin, Guitar and Vocals) builds, repairs and plays stringed musical instruments when he’s not inventing and developing computer chips during his day job as an R&D engineer. Nina Dryer (Fiddle and Vocals) and Roy Coates (Bass) are both classically trained musicians who play with a variety of orchestras and bands. Nina also plays viola and cello. Roy also plays tuba.